If you have your eye on a particular wedding favor that you think will complete your big day, don't hesitate to order it now! There are thousands of other brides out there who are probably looking at the same item, and all it takes is one big order to wipe out the stock for months. Items go on back order every day, so don't risk missing out on the perfect favors by a few weeks due to a lengthy back order date. Wedding favors get discontinued on a regular basis for different reasons. You never know if your choice favor might no longer be available anywhere all of a sudden. If you wait to order, you run the risk of missing out on your first choice and then you will have to start the shopping process all over. 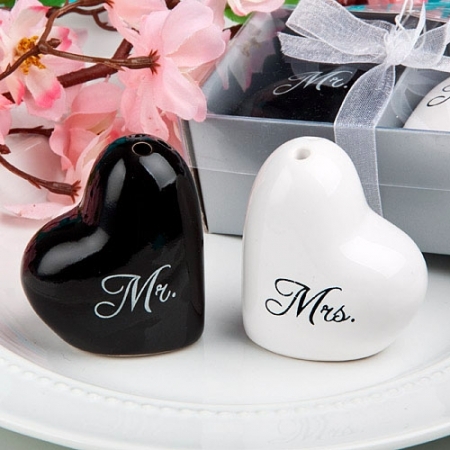 Once you find the wedding favors that you really like, order them now! Inventory can change daily, and you don't want to miss out on the perfect favors for your big day. If you change your mind or find something better, you can always return unused favors for a minimal shipping cost. However, if you wait too long, your options may end up being very limited.